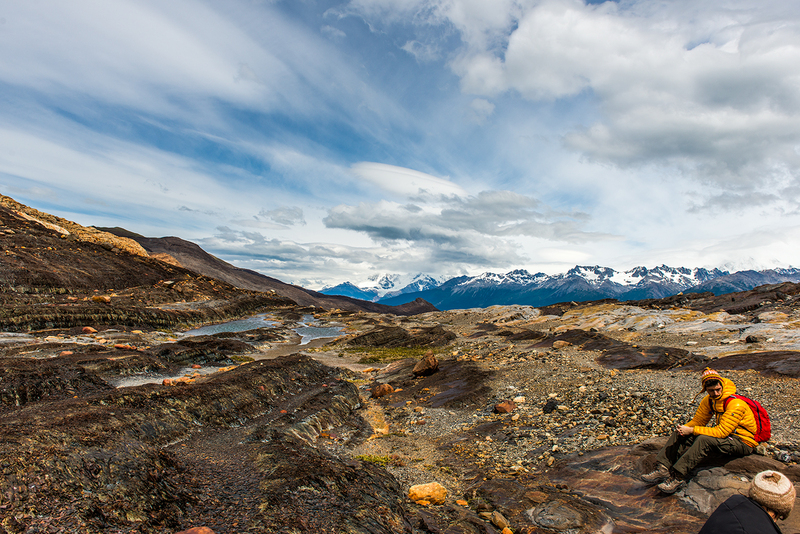 A 5 hours walk throught the glaciar valley with stunning landscapes and a vast resource of fóssil than can tell us stories with more than 4 milhion years. The tour was through a landscape that until recently was covered by glaciers and has a great geological interest. View of Lake Guillermo and of the stunning oriental front of Upsala Glacier, Southern patagonian ice and hills Murallón and Don Bosco. Descents through the Cañadón de los Fósilesarea where we can find fosiles, remains of the last marine ingression which has been ucovered by glacial action. Valley of unique characterisitics. The Upsala Glacier is a large valley glacier in Argentina’s Los Glacier National Park. It flows from the Southern Patagonian Ice Field, feeding the nearby Perito Moreno Glacier. The glacier terminus is at Lago Argentino. The Upsala Glacier is well known for its rapid retreat, which many see as evidence for global warming. The name comes from the old spelling with one p of Uppsala University, which sponsored the first geological studies in the area. The University is located in Uppsala, Sweden. The glacier’s almost continual recession up until 1999 has recently slowed (as of 2003). The previous acceleration in ice motion during the two decades preceding 1999 may have been augmented by the release of backstress when the glacier retreated beyond the islands in Brazo Upsala.